*SHERWOOD FOREST: Davenport’s Hidden Treasure: Spacious One BEDROOM Units with HEAT AND WATER ALWAYS FREE! !— Swimming Pool, Forest views, Coin op laundry, decks, central air, generous parking:$595.00 Plus $500 Security Deposit . Call: 563-322-8113 for Availability!! *KIMBERLY MANOR – 1626 THROUGH 1656 WEST 29TH: Modern first floor one bedroom features central air conditioning, dishwasher, ceiling fan in dining area, large private storage unit, off street parking, coin op laundry. $595 Per Month $500 Security Deposit Garage available for $50 per month. Call: 563-322-8113 for more details!! *LINCOLN MANOR APARTMENTS: BETTENDORF:1100-1150-1200 Lincoln Rd., Bettendorf: Modern one bedroom units with Central Air, generous parking, dishwasher, appliances, many with patio, very large greenspace, starting at $545 plus $545. Security Deposit CALL: 563-322-8113 for availability! *KIMBERLY RIDGE MANOR-3440 through 3450 Jersey Ridge Road, Davenport: One bedroom units near Kimberly Road, PET FRIENDLY please call for details, central air, gas heat, XL storage, decks, appliances, $550 plus $500 Security Deposit Attached garage available @ $50 per month CALL: 563-322-8113 FOR DETAILS!! *JERSEY RIDGE MANOR I: ALL UTILITIES PAID ALWAYS!!! 1922-1924 Jersey Ridge Rd. Davenport: Spacious one bedroom with convenient location! air, decks, appliances with dishwasher,starting at $595 plus $500 Security Deposit Attached garage available @ $50 per month CALL: 563-322-8113 FOR DETAILS!! *JERSEY RIDGE MANOR II: 2030 through 2056 JERSEY RIDGE: Spacious and modern one bedroom with deck, central air, dishwasher, XL storage, $595 plus $500 Security Deposit Attached Garage available @ $50 per month Call: 563-322-8113 for appointments! *Park Place: 5601 Eastern Ave., Davenport: 1 Bedrooms, private entrance, in unit laundry, central air, decks, garages, Rent starting at $820 & Security Deposits are $350.00 Call 563-359-8200 for availability and pricing!! *Eagle’s Crest Condos: 1 Bedrooms: Pet Friendly, Exercise Rooms, Community Rooms, Garages, modern floor plans, in unit laundries, Starting at $565 & Security Deposit 500.00 Call: 563-386-3605 for availability!! *Kimberly Manor – 1626-1656 West 29th: Spacious two bedroom with air, coin op laundry, dishwasher, generous storage, HEAT/WATER AND GARBAGE PAID BY OWNER!! GARAGE AVAILABLE FOR $40 PER MONTH. $695 pus $500S/D Call 563-322-8113. *WEST GEORGE WASHINGTON MANOR: 1629 THROUGH 1640 WEST GEORGE WASHINGTON: SPACIOUS 2 BEDROOM APARTMENTS WITH AIR, DISHWASHER, STORAGE, COIN OP LAUNDRY, STARTING AT $695 WITH $500 SECURITY DEPOSIT Garage available @ $50 per month. Please Call 563-322-8113. 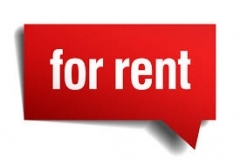 *SHERWOOD FOREST: 1000 Blythwood: Very Spacious 2 Bedroom with HEAT/WATER/GARBAGE ALWAYS PAID BY OWNER!! units feature dishwasher, master bath, central air, LARGE BEAUTIFUL POOL, generous parking, on site friendly staff, decks, park like setting, $695 plus $500 Security Deposit Call: 563-322-8113 for more details!! *LINCOLN MANOR APARTMENTS: BETTENDORF: 1100-1150-1200 Lincoln Rd., Bettendorf: Modern 2 bedroom units with Central Air, generous parking, dishwasher, appliances, many with patio, very large greenspace, starting at $645 plus $645 Security Deposit CALL: 563-322-8113 for availability! *JERSEY RIDGE MANOR I: 1922 through 1924 Jersey Ridge, Davenport: ALL UTILTIES PAID! Spacious two bedroom with air, dishwasher, appliances, storage, starting at $695 plus $500 Security Deposit Attached garage available @ $50 per month. *JERSEY RIDGE MANOR II:2030 through 2050 Jersey Ridge, Davenport: Modern and convenient! Modern two bedrooms with central air, parking, laundry, dishwasher, decks, starting at: $695 plus $500 Security Deposit Attached garage available @$50 per month. Please CALL: 563-322-8113 for availability! *KIMBERLY RIDGE MANOR-3440 through 3450 Jersey Ridge Road, Davenport: Two bedrooms units near Kimberly Road, PET FRIENDLY please call for details, central air, gas heat, XL storage, decks, appliances, $650 plus $500 Security Deposit Attached garage available @ $50 per month CALL: 563-322-8113 FOR DETAILS!! *Eagle’s Crest Condos: 1-2-3 Bedrooms: Pet Friendly, Exercise Rooms, Community Rooms, Garages, modern floor plans, in unit laundries, Starting at $565-960 & Security Deposit 500.00 Call: 563-386-3605 for availability!! *Park Place: 5601 Eastern Ave., Davenport: 1 & 2 Bedrooms, private entrance, in unit laundry, central air, decks, garages, Rent starting at $930 to $1045 & Security Deposits are $350.00 Call 563-359-8200 for availability and pricing!! *Park Place Town Homes: 5601 Eastern Ave., Davenport: Stunning 2 Bedroom town homes, 2 Bathrooms, stainless appliances, dishwasher, in unit laundry provided, central air, front porch, 1 car attached garage, storage, Rent starting at $1295 Security Deposits are $500.00 Call 563-359-8200 for availability and pricing!! QUESTIONS ABOUT OUR RENTAL POLICIES? EXECUTIVE MANAGEMENT & REAL ESTATE, LTD. will ask you for the following references when you make an application for an apartment: Please have phone numbers at your disposal. WE ASK FOR THE SECURITY DEPOSIT AT THE TIME OF APPLICATION. THE DEPOSIT MUST BE A MONEY ORDER OR A CERTIFIED CHECK. IF YOU ARE NOT APPROVED WE WILL RETURN YOUR DEPOSIT. We ask for past landlord’s names and phone numbers. If you have a good rental history it is an excellent reference. Please list a minimum five year history. We ask for names and phone numbers of your current and past employers. We ask for credit and personal references; please have phone numbers ready. Personal references may NOT be relatives. We ask about your credit history. We conduct a criminal background check which includes past evictions in court. If this court check is not free from the state where you reside, you will be required to pay the fee required to obtain this report. OUR UNITS REQUIRE RENTER’S INSURANCE!! We will ask for the SECURITY DEPOSIT when you make application. The Security Deposit must be a money order or a certified check. We cannot process your application unless the deposit has been paid. If your application is not approved, you will receive your money back. Once your application is approved, your money will be retained as the security deposit for your apartment. We will process your application as quickly as possible; however, the speed depends on our ability to speak to the references you provide. To process your application, we will need to have you bring in an photo ID with the application. INSUFFICIENT REFERENCES OR FAILURE TO PROVIDE VALID REFERENCES WILL MAKE IT IMPOSSIBLE TO APPROVE YOUR APPLICATION. YOU MUST PROVIDE THE NECESSARY PHONE NUMBERS. WE CANNOT CHECK YOUR REFERENCES WITHOUT THEM. **PLEASE NOTE: WE FOLLOW ADA GUILDELINES REGARDING SERVICE ANIMALS! WE WILL BE GLAD TO ANSWER ANY OTHER QUESTIONS YOU MAY HAVE! !